Freedom Outdoor Living is the hassle-free way to bring long lasting beauty to your outdoor spaces. 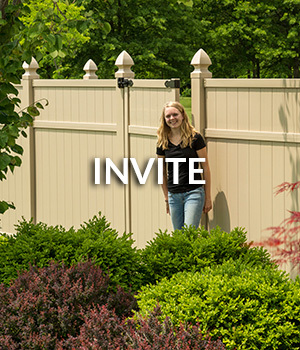 Your yard is an extension of your home and Freedom Outdoor Living offers a wide range of low-maintenance, high style lawn & garden products to fit any aesthetic. 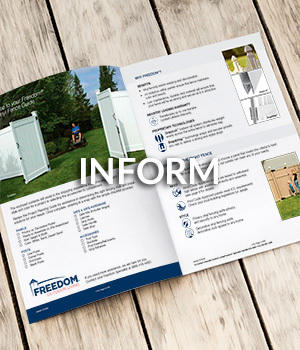 The industry leader in quality fence, rail & yard accents, Freedom Outdoor Living yard products are proudly made in the USA. Easy installation and the peace of mind that a reliable, beautiful product brings can transition any yard into an oasis. Provide high quality, durable, low-maintenance lawn & garden products that are inviting, easy to install and enjoy. Continually deliver lawn & garden products and ideas that inspire home owners to transform their yard into their perfect Freedom oasis. Supply helpful details along the homeowners shopping journey that may not have been considered and are informative. 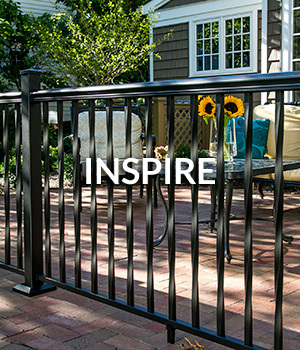 Barrette Outdoor Living (BOL) is the North American leader in consumer fence manufacturing. Barrette currently produces and markets exterior home products under a variety of leading brand names through specialty retailers, home centers and lumberyards. BOL is an independent subsidiary of Barrette. BOL currently employs 1,550 people and the Barrette parent company employs 3,000. BOL has a head office in Cleveland, OH with the parent company headquartered in Saint-Jean-sur-Richelieu, Quebec, Canada. The company is privately owned and operated by the third generation of the Barrette family.